Lawn Care Saco Maine Proudly Serving Southern Maine 35 Years! 207 Lawn Care has provided Lawn Care Saco Maine with great Old Fashioned Service Since 1984. Experience matters Saco! Serving Greater Southern Maine. Lawn Care Saco Maine was created to inform you of our business model. For instance; we have 35 Years of hands-on experience. Being in a business that long teaches much along the way. Moreover; providing service to Saco Maine all these years has been a calling. 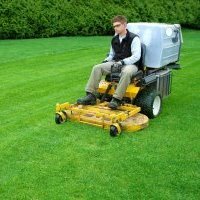 When choosing a lawn care provider, it’s important to consider many factors. Clearly; Time in service and traditional approaches add value to what’s provided you. And of course; when a contractor invests in quality reliable equipment, this benefits the customer. Also; a husband and wife team has the incentive to provide quality service. Because; it’s their name on the line. So; if you desire expert quality work, we would love to hear from you. Remember, 207 Lawn Care is a one-stop shop! 207 Lawn Care is a division of PCU Enterprises. Moreover; we’ve Served York and Cumberland County Maine for over 35 Years! So; my wife and I will provide exceptional Lawn Care services to Saco Maine. If you are in the market for grounds maintenance, we would appreciate the opportunity to serve you. Moreover; if you’re “old school,” and miss traditional service, call us. We invite you to give us a try. Indeed; traditional personal service is Priceless!